Specs: 352 pages; 21cm x 29.5 cm, retail price €15.-. 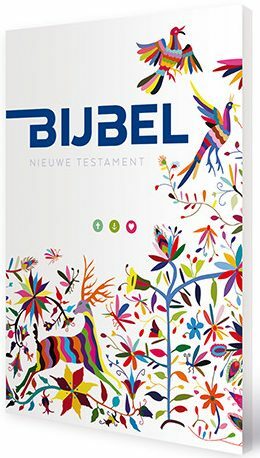 A new edition of the Bible that will speak to everyone: the Bible glossy magazine – the New Testament. The producers of the Jesus! glossy magazine have spruced up the text of the New Testament, with as a result a new surprising glossy magazine plus an app. The complete text now in a ground breaking magazine format with a modern look and colorful illustrations. The accompanying free app will bring the Bible to life in unusual ways. ‘The Bible in the grocery store’, is the best description for this unique publication. In the past, the Bible might have been merely a book for churches, study groups and book worms, but with this glossy magazine format there is nothing stuffy about it anymore. For some the Bible has the reputation of being ‘difficult to read’, but LenteMedia wants to change this preconception. Not only with the magazine, but also with an innovative app. The free ‘NT glossy app’ can be downloaded from the Apple and Play Stores. With this magazine, the publisher is targeting each and every reader and magazine purchaser. For those readers who are already familiar with the Bible, the glossy may turn out to be a very surprising read. For those readers who have never browsed through a Bible before will find it no less than a refreshing experience. Purpose: A glossy magazine, that will inspire both Bible-readers as non-believers. This magazine offers a new reading experience to people that don’t like reading a lot, but still want to know more about the gospel. Translatability: All you need are the rights to a bible-translation. Illustrations are already made and available. All rights for the illustrations have been cleared by LenteMedia. Sales figures: Within 3 months 20.000 issues were sold in The Netherlands.